This set of left & right rear mufflers mount to the stock exhaust or to Supersprint Crossover pipes. 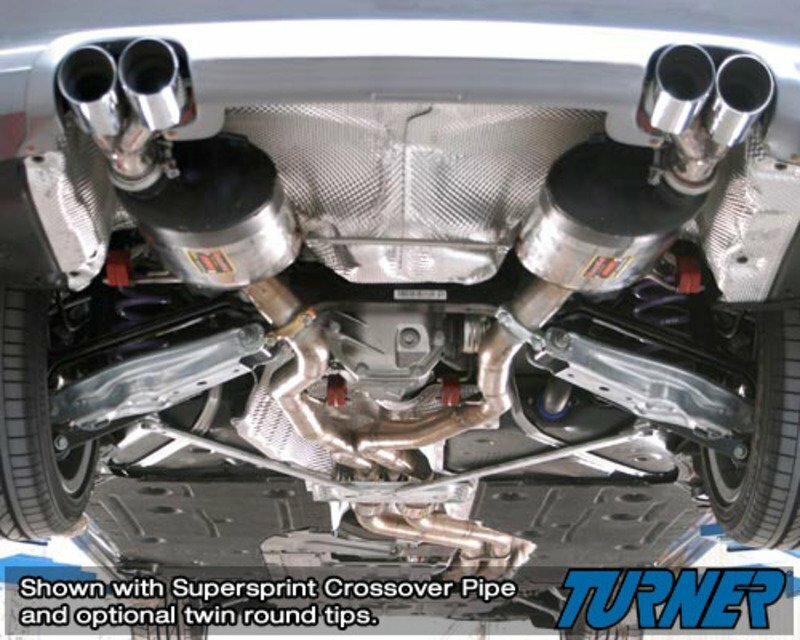 Supersprint exhausts are made of 100% stainless steel for extended longevity. These mufflers produce a throatier growl from the engine without any dramatic aftereffects. What you get is a strong burble at idle and low rpm and a sporty rip at higher rpm. These mufflers use 4 round polished tips for a very distinctive and sporty appearance - the rear bumper valence will need to be trimmed around the tips.